OTTAWA -- The federal government is close to a deal with Davie Shipbuilding that would see the Quebec shipyard provide several used icebreakers to bolster the Canadian Coast Guard's own aging fleet. 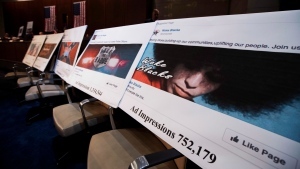 While final details are still being worked out, sources have told The Canadian Press that an agreement is imminent after months of intense -- and at times contentious -- closed-door negotiations. 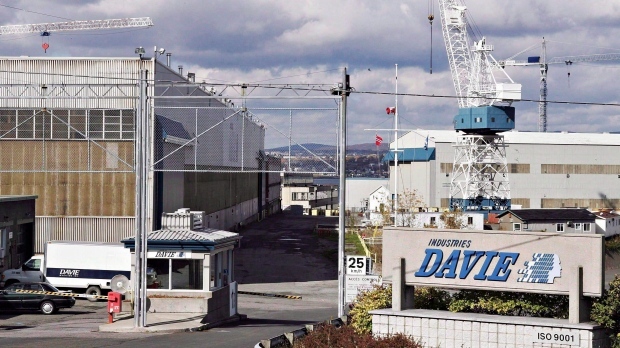 The pending deal represents a win for Davie and the Quebec government, both of which have been demanding more federal work for the shipyard after it laid off 800 workers at its shipyard in Levis late last year. It is not, however, exactly what Davie originally proposed: the company wanted to convert three medium icebreakers and one heavy vessel and lease them to the coast guard, whose own fleet is nearing the end of its useful life. The company will still do conversion work on the three medium icebreakers, sources say, but the coast guard will take full ownership of the vessels instead of leasing them. The two sides also remain far apart on the heavy icebreaker, which Davie has been pushing hard despite strong reticence from senior coast guard officials who say it does not meet their needs. The federal shipbuilding strategy does include plans for one heavy icebreaker, the Canadian Coast Guard ship John G. Diefenbaker, which could explain the coast guard's hesitation, said University of Calgary professor Rob Huebert. "A lot of effort went into the design of the Diefenbaker," said Huebert, who has worked extensively with the coast guard. "If I was the coast guard, I would be terrified that if I got the Davie ship, I would not get the Diefenbaker." Word of the pending deal comes in the face of even more bad news for the coast guard's existing icebreakers, which are on average over 35 years old and have lost hundreds of operational days in recent years due to mechanical breakdowns. The most recent headache came in late April, when CCGS Terry Fox ran aground near Bide Arm, N.L. The vessel sailed back to St. John's under its own power, an official said, where repairs were conducted on two holes in its hull, but it was later determined that more work would be required to get it back into service. That leaves the 49-year-old CCGS Louis S. St-Laurent as the coast guard's only heavy icebreaker until the Terry Fox is up and operational again, though coast guard commissioner Jeffery Hutchinson said the service could cover for it. "It will be back in service as part of our Arctic program this summer," Hutchinson told a parliamentary committee on Tuesday, "and we're able to cover all Arctic requirements in our program by reallocating resources internally." But coast guard officials have conceded for years that they need additional icebreakers to supplement their fleet, and suggested they could turn to novel solutions such as leasing vessels or hiring private companies to help them. "We're stuck in this kind of limbo with the coast guard where their vessels keep getting longer in the tooth and what they need to do just keeps going up and up and up," said Huebert. "There is a dire need for them getting some modernized icebreakers. No question about it." The negotiations between the federal government and Davie have nonetheless been steeped in politics. Prime Minister Justin Trudeau surprised many, including the Canadian Coast Guard and Davie itself, when he announced the launch of talks while visiting Quebec City in January. The announcement followed concerns about the current icebreaker fleet, but also an intense lobbying campaign by Davie as well as the Quebec government and federal opposition parties on the shipyard's behalf. It also coincided with an RCMP investigation into allegations Vice-Admiral Mark Norman leaked cabinet secrets to Davie to keep the Liberals from cancelling a $700-million contract to provide the navy with an interim support ship. Norman was suspended as the military's second-in-command last year and charged with breach of trust this past March. He has denied any wrongdoing and vowed to fight the charge in court. Most of the work on the interim support ship was finished late last year, at which point Davie laid off 800 workers; the shipyard says it did not have enough work for them, but that it is hoping to hire some back for the icebreakers. Davie initially proposed leasing icebreakers to the coast guard in April 2016, after acquiring the rights to four vessels that were destined for use in Alaska's offshore oil and gas industry until a downturn in the market.